A close shave is generally the primary objective of experienced shavers, but getting that perfect, super smooth shave without added irritation or razor burn can often be quite a challenge. To achieve this goal, you’ll need to balance using close shave techniques with preventative measures to reduce your chance of irritation. By the end of this guide you will learn several tips and techniques that will explain how to get a closer shave while preventing razor burn and irritation. Added irritation is a common byproduct of increasing the closeness of your shave. Therefore, it’s very important to begin your shave by ensuring your face is properly prepared. Start off with a hot shower to help softening your facial hair which will make it easier for your razor to cut through them. While you’re at it, wash your face with a proper facial soap to remove any irritation or razor burn causing bacteria that may already be on your face. Avoid using body or hand soap since they will dry out your skin and remove the natural oils that help protect the skin on your face. Lastly, finish it all off by applying a pre-shave oil to your face which is intended further soften facial hair as well as provide a lubricating layer close to your skin. Probably the best method for getting a closer shave is to modify your shaving technique. 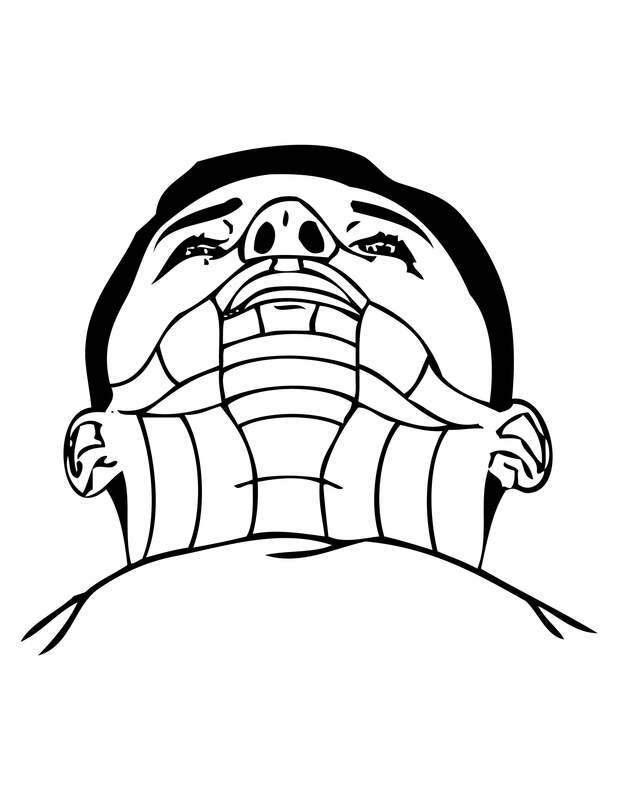 We recommend using a multi-pass technique which involves shaving your face several times in different directions with the objective of slowly reducing the length of your facial hair. In order to use this technique, you must first understand how your hair grows. Let your beard grow for several days and then use this diagram to map out the directions in which your facial hair uniquely grows. This will be your guide for how to shave during each of the following passes. Your first shaving pass should be done with the grain of your facial hair, meaning you shave in the same direction that your hair grows. Next, shave across the grain, meaning you shave at a 90 degree angle from the direction in which your hair grows. Lastly, shave against the grain, so that you are shaving in the exact opposite direction as your first pass, moving the razor from the end of your whiskers to the base. Be careful when shaving against the grain since it can cause serious shaving irritation and razor burn if not done carefully and with lots of preparation. For more information about these techniques, visit our blog post Shaving Against the Grain: How to Map Your Facial Hair. If you’ve already utilized the above techniques and are still struggle with getting a close shave, then it may be time to upgrade your razor. If you’re not already using one, we recommend wet shaving with a traditional double edge safety razor which can provide a closer, more comfortable shave compared to disposable cartridge razors. This is partly due to safety razors using only a single blade which can provide a more clean cutting shave without tugging at the hair which the multiple blades of a cartridge razors often due. Take a look at the wet shaving kits we have available in our store. If you are already a safety razor user, then explore purchasing a more aggressive or alternative style of safety razor to improve your wet shave. How to choose a more aggressive safety razor is a whole additional topic due to the variations in manufacturer design that affect aggressiveness, but start by exploring additional styles of razors such as slant bars, open-combs, and adjustables. Using a sharp razor blade is a clear way for you to improve the closeness of your shave. When using your existing razor blades, make sure you are changing them before they become dull and tug at your facial hairs when shaving. A dull blade will both reduce the closeness of your shave but all increase irritation due to the tugging action. If you are shaving with a safety razor, then explore using different brands of razor blades to determine which provides the best wet shave for you. The razor blades manufactured by Feather, who is also known for producing precision surgical scalpel blades, are widely accepted as the sharpest available. These may be too sharp for some shavers, so it’s important to test out several razor blade manufacturers to determine which brand and sharpness is the right balance for you. After you shave it is also very important to properly treat your face to heal any irritation that your shave may have caused. Remember, you just dragged an extremely sharp blade across some of the most sensitive skin on your body, so some preventive measures are required for even the most experienced shavers to avoid irritation. Begin the healing process by rinsing your face with cold water to remove any leftover shave lather, oils, and hair. This will also help to tighten and close the pores of your face and it also feels really good. Follow that up by applying Alum Block to the area that you shaved. Alum Block acts as a mild antiseptic and will aid in preventing razor burn from developing. Be sure to rinse the Alum Block off your face after a minute so that it does not dry out your skin. Lastly apply an aftershave or balm to further disinfect and moisturize your skin. Hopefully this guide has help you understand several fundamental shaving techniques on how to get a closer shave while preventing razor burn and irritation. If these tips and techniques have helped you or if you have additional tips, please share with friends and let us know by commenting below. If you are not already using a safety razor and are interested in getting started with wet shaving, take a look at the wet shaving kits we have available in our store and visit our article which provides 6 Wet Shaving Tips for Beginners.